When the National Weather Service forecasts a snow storm for our area, the Highway Department swings into action. 2,000 pounds of 75% salt and 25% sand are loaded onto ten-wheel trucks. 1,500 pounds of the same mixture of salt and sand are loaded onto six-wheel sand spreaders. Designated snow emergency routes, such as main arteries and school bus routes, are sanded and salted first. If the snow accumulates above a few inches, these roads will be plowed first. Next, salt or sand are applied to feeder streets to allow access to main roads. If the snow accumulates above a few inches, the feeder streets are plowed after the priority roads. Dead-end streets and cul-de-sacs are then sanded and plowed. The Highway Department has, through the Geographic Information System, divided the Town’s 750 miles of road into 167 individual maps. Designated snow emergency routes, such as main arteries and school bus routes, are sanded and salted first. Next, salt and sand are applied to feeder streets to allow access to main roads followed by dead-end streets and cul-de-sacs. If the snow accumulates above three inches, streets are plowed in the same order. For information regarding snow clearing operations on Town-maintained roads or other emergency operations, please call the Town’s Highway Department at 677-5757. To report any Town Code violations, please call 624-6250. For information regarding snow clearing operations in Incorporated Villages, residents should contact their Village Hall. (Listing of Village Hall Phone Numbers CLICK HERE). For information regarding snow clearing operations on roads maintained by Nassau County, please call the County Department of Public Works at 571-6900. For information regarding snow clearing operations on State-maintained roads, please call the 24 Hour New York State Emergency Operations Center at 631-952-6777. For residents with Special Medical Needs- any resident who is a dialysis patient should register with the Town’s Highway Department so that your address can be placed on a priority snow removal list. This will ensure that should a medical emergency take place, a medical emergency service vehicle can safely access your residence. To be added to the list, a letter (on official dialysis or hospital letterhead) should be faxed to the Town’s Highway Department at 516-677-5835. If you wish to check and see if you are on the current emergency medical list maintained by the Town’s Highway Department, please feel free to call 516-677-5757. 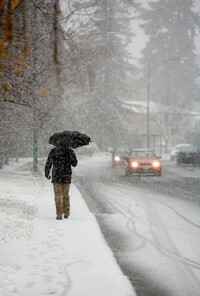 Safety tips and rules and regulations for all Town residents during a snow storm. Tips on how to prevent damage to your property and flooding. Keep informed with all the latest snow storm information through these links.